Southeast Asian food, Thai in particular, has quickly become one of the world’s favourite cuisines. With exotic ingredients that pack a punch like chillies, lime, lemongrass and coconut milk, it’s really easy to see why. Come along to our Asian themed cooking classes and our Chefs will show you how to balance contrasting elements to create sumptuous dishes. Balance delicate aromas with strong flavours, incorporating elements of spicy, sweet, salty and sour to create something great. 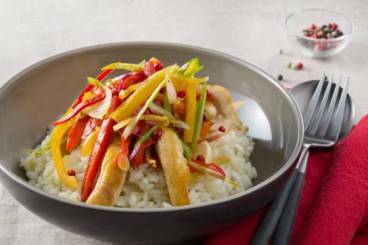 With a lot of food it’s the simplicity that appeals, but with Asian it’s the complex mix of flavours that really brings it into its own. Thai cuisine is an art, but that doesn’t mean it’s difficult to cook. Our Chefs (all of whom have international experience) designed a range of classes to give you confidence using traditional Southeast Asian flavours and ingredients, and you’ll be able to adapt the recipes at home to suit your own taste. There are a variety of Thai and Asian cooking classes on offer, each with a different mix of recipes. Thai food uses lots of fresh herbs and vegetables, offering a lighter alternative to many meals. 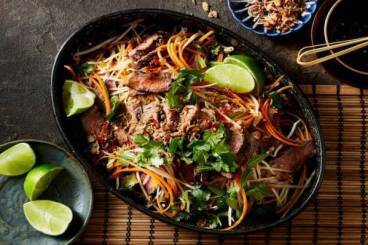 In the 30 minute class you’ll make a main like chicken pad Thai or a chilli beef salad, while the longer classes give you the opportunity to explore more dishes in depth. 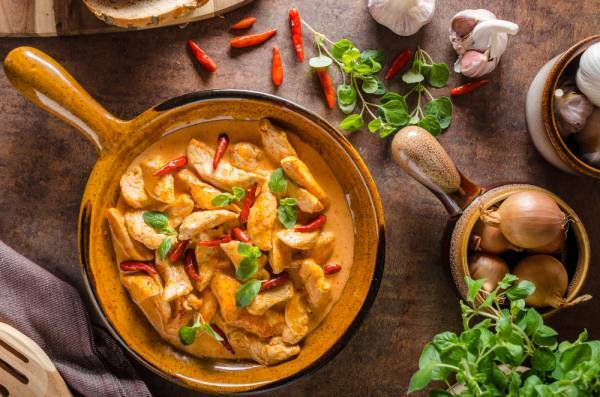 You can learn to make popular dishes such as red curries and laksas from scratch and discover new ways of cooking things such as sea bass baked in a banana leaf. You don’t have to travel to Thailand or Southeast Asia to cook great food – our cooking classes are held right in the heart of London. You’ll be taught by professionals in a modern, high tech cookery school. Come along to pick up some new skills, add some recipes to your collection and have a great day out.